We’re almost at the end of our Gift Guides, but there are still quite a few goodies left in store. Head through to see the rest of our ideas for filling up those stockings! 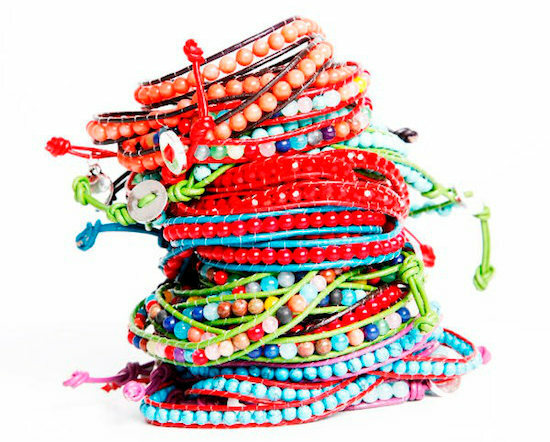 Make accessorising a bit more bohemian with some of the new range of Boho Belle wrap bracelets made especially for kids. Little people who love to dress up will adore the range and you can love the high quality leather and beading. They’re available from ForWalls for $13.95. While we’re on the subject of accessories, how about a pair of sunglasses your child can style themselves? 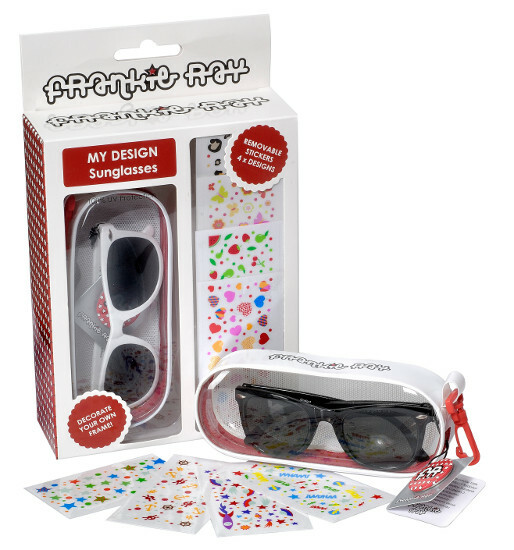 The My Design sunglasses kit from Eyetribe comes with glasses, a zip up case and four sheets of stickers (themed for boys or girls) for budding designers to get busy. Each kit is $39.95. You simply can’t go past a quality wooden toy for Christmas, and this little set from Bajo ticks all the boxes. 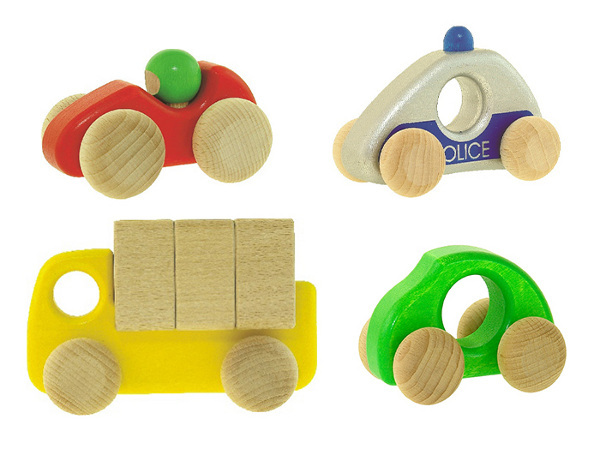 This attractive set of four small cars is sturdy, easy to manoeuvre and with a racing car, police car and lorry as well as a standard car, there’s plenty to play with. Hard to Find have the set of four, individually boxed, for $64.95. 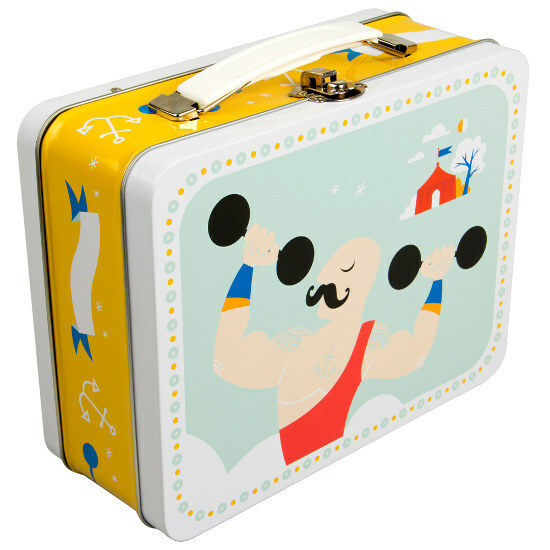 How about a funky retro tin lunchbox? This one from the new Blafre range at Jimmy Cricket is $24.95 and is sure to be a hit not just for lunch, but also for carrying Christmas treasures. The whole Blafre range is newly stocked by Jimmy Cricket and will be available on their site from mid-November, just in time for Christmas. 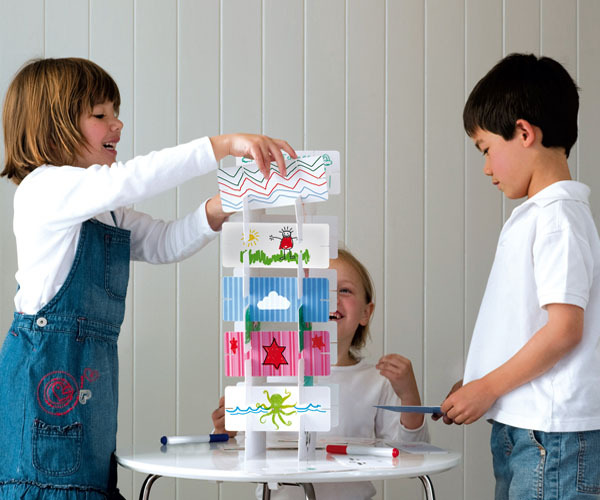 If there are budding artists at your place, they’ll love the Art Tower from Toetum Kids. For only $19.95, your kids can colour, create and construct all with the one set. The Art Tower includes twenty wipe-clean slotted cards and felt pens to make fun creations over and over again. Slot them all together and build your art into a three-dimensional masterpiece. If you have children who simply love to draw, you’ll know how quickly those loose pieces of paper can take over your home. Keep it all in one place with My Artwork Journal from Scallyoop – at only $11.50 it’s a fantastic way to inspire (and contain!) drawings. Each page contains a prompt to creativity – “I can draw my family” or “I can draw my favourite toy” – and will give you a kind of artistic time capsule of your child’s world. Who doesn’t love a bit of personalised stationery? There is a great range to choose from at Note Couture, where you can pick up all kinds of stationery products from mini notepads right through to greeting cards and even calling cards! Prices begin at just $9 for mini notepads. Pick up a few and enjoy your children’s attempts at correspondence! At first glance, this one doesn’t look much like a child’s present, but trust us, it’s guaranteed to make your small child’s life easier (and yours too!). It’s the Brica Snack Pod and it attaches easily to car seats and strollers when you’re out and about. 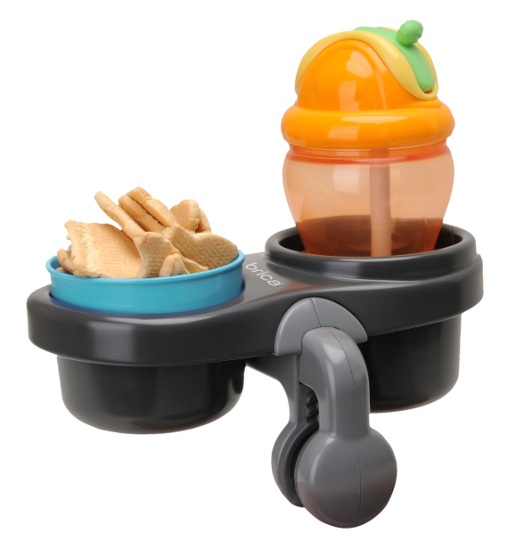 You can find these portable cup and snack holders for $14.99 from CNP Brands. 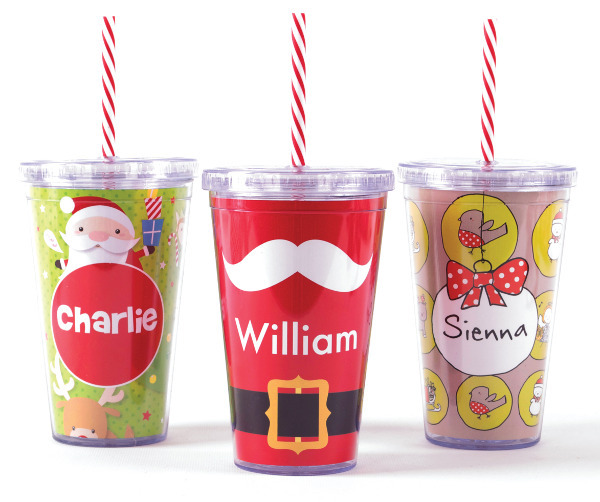 Last but not least, why not pick up a personalised Christmas in a Cup? These sturdy plastic cups are huge (500ml!) and BPA-free. There are lots of Christmas designs to choose from and at that size, you can fill them up with Christmas treats either at your table, or as a surprise in the stocking on Christmas morning. Order and purchase them from Stuck on You for $19.95. We hope we’ve given you some ideas today for filling up those Christmas stockings. Just one Gift Guide left to go, so make sure you come back tomorrow to see our ideas for Christmas decor.